N.O. Fury is a pre-workout product that claims to be one of the best kinds in the market. However, the formula of this supplement contains some small doses of components, which may be because some ingredients don’t make the recommended dose in order to be effective. The retail price of N.O. Fury is not steep. The cost is only around $20 for 40 servings, which makes the supplement reasonably priced and budget friendly. We’re not certain if N.O. Fury is one of the best ones in the market, but if you’re looking to have some edge for your workouts, N.O. Fury is something you can try considering. Even as some pre-workout products have been promoted as a supplement for the average guys who want to increase his energy and strength to further his fitness efforts, most of these supplements are advertised to having proprietary blends that are highly potent only experts in bodybuilding can be able to manage using them. Upon seeing that Six Star Nutrition has promoted Professional Strength N.O. Fury as a pre-workout product specifically intended for professional athletes and bodybuilders, it didn’t make much impression. It’s not the first time we have encountered such assertions, so somehow we know better when it comes to products like these. On the other hand, to find the greatest pre-workout supplement at the best price, we opted to check N.O. Fury out, just to be sure. After all, all brands out there need to have a chance. Surprisingly, N.O. Fury turned out to be a decent product that somehow lives up to its promise after scrutinizing its components and concentrations/dosages. What Are the Assertions Made? 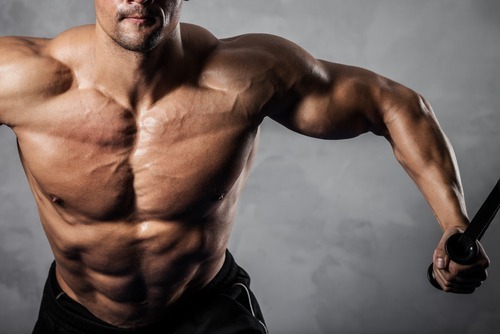 Based on the promises of the company behind this supplement, it can boost the user’s muscle pumps, construct more muscles and delivers more energy. The result is a bulked up and ripped physique you’ve always wanted. These effects are the common results that take place when taking this kind of supplement. Nonetheless, Six Star Nutrition said that taking N.O. Fury in a 12-week period will increase your physical strength by 94% compared to solely working out. Hence, it really aims to give you the significant boost you need. Moreover, it is claimed that N.O. Fury will provide you firmer and more robust muscles that will give you a ripped physique even after just one serving. Professional Strength N.O. Fury contains a moderately brief component list that possesses some remarkable elements. One of these notable components is Creatine. People who are no stranger to pre-workout products have surely come across Creatine, but most of these individuals haven’t found out why it is so effectual. This ingredient is a nitrogenous and a naturally-occurring amino acid in the body. It is primarily in-charge of transporting energy to tissues like the muscles. This only signifies that Creatine can remarkably decrease exhaustion and can enhance your strength levels by aiding the user exercise for a longer span of time. Aside from longer hours, Creatine can also help the user undergo more vigorous exercises. Furthermore, we became more convinced that this supplement can really deliver in terms of effectiveness upon noticing that N.O. Fury has two forms of Creatine involved in the product’s formulation. This gives it further potential when it comes to helping consumers gain further strength and force in order to enhance workout functions and overall fitness performance even with just a single dosage. On the other hand, caution is always a must when it comes to creatine consumption. This is because it can also lead to the accumulation of formaldehyde in the body, which can trigger significant negative adverse reactions. For instance, researches have demonstrated that extended consumption of creatine can lead to kidney and renal system impairment. Because creatine triggers such major effects on the body, it is strongly recommended to speak with your physician prior to using it. This is especially crucial if you have suffered from a medical problem before. Your current lifestyle also needs to be considered before taking creatine supplementation. Finally, the content of creatine in N.O. Fury may be more than one could deal with especially with regular intake. Furthermore, N.O. Fury delivers L-citrullinemalate. This is utilized to boost muscle pumps when working out in the gym. Apart from this, N.O. Fury delivers a little amount of caffeine anhydrous in order to give you more energy for being more productive at the gym. Another distinctive feature that should be mentioned that N.O. Fury offers is Amino-BCAA Blend. This gives you L-isoleucine, L-leucine, and L-valine. These are branched-chain amino acids that are utilized for the enhancement of muscle recuperation after exercises and even for facilitating protein assimilation. Being a pre-workout product, it must be consumed 15-30 minutes prior to starting your training. Do this by combining one scoop with 4-8 ounces of water. If your body doesn’t have any negative reactions to it, you can augment the dosage up to 2 servings. Just remember to not go beyond 2 scoops within a 24-hour period.